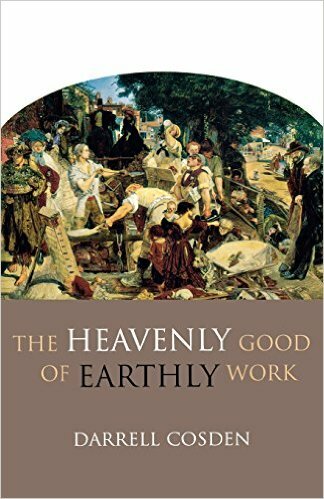 I finished this week The Heavenly Good of Earthly Work by Darrell Cosden. Darrell was a professor of mine at the International Christian College where he taught. I recommend this book if you want to get at the theology behind our work. His book is a personal reflection and that is what I particularly found helpful. He sketches out how our view of work has been shaped over the history of the Christian faith and then builds on that to help form a missional view of work, it’s eternal value, and how we can see our work as a spiritual discipline (not necessarily in that order). I got slowed down in some of the theology in the beginning of the book but read it carefully and in the end I was compelled to take in his arguements at the end. If you are interested in Christian ethics in the marketplace, tentmaking, mission, missional living, etc. then this is a foundational read! It really helped me reorient my thinking about work. Paperback: 148 pages. Publisher: Hendrickson Publishers (August 30, 2006). ISBN-10: 1565636694. Price: $14.00.